An introduction to G2H2: History, structure, activities with regular events and working groups. 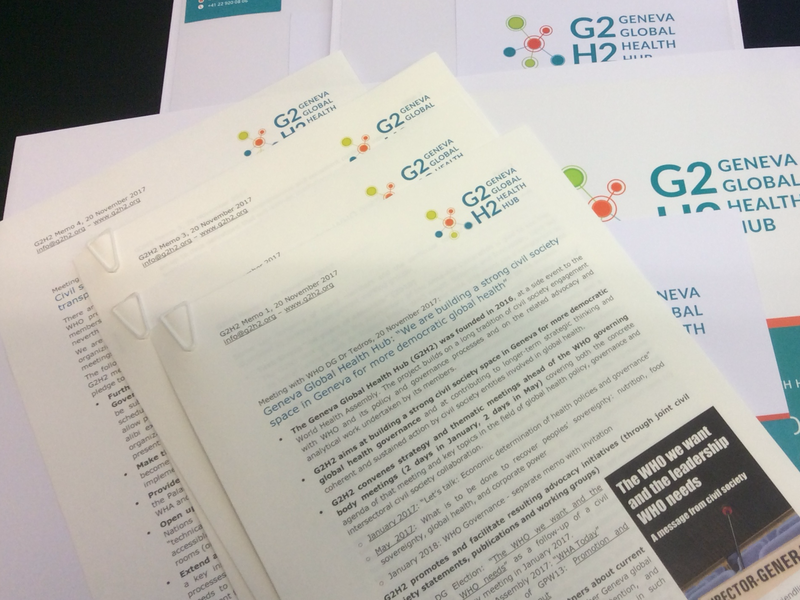 Annex: G2H2 concept note for an official WHA side event on the Alma-Ata Jubilee 2018, developed in cooperation with Dr Ruediger Krech, WHO Director Health Systems and Innovation. 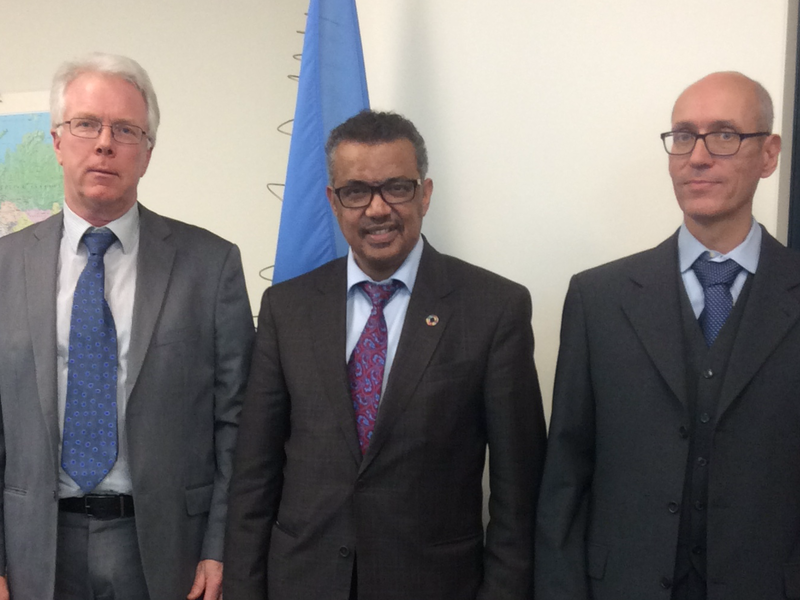 The WHO DG listened very attentively to our reports and engaged in a lively conversation. At the end of the 45 Minutes meeting, Dr Tedros confirmed that all points raised by the G2H2 delegation and submitted in our memos will be taken up and that we will get substantive feedback in a follow-up meeting in early 2018. Unfortunately, the “WHO letter on participation of non-State actors at WHO governing body meetings and on other forms of engagement” received in May 2018 remains vague and includes little substantial replies to our requests. Comments on this blog are most welcome. Before being able to submit comments on the G2H2 website, please register as a user – and get back to this page afterwards!